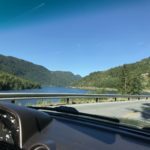 I had one week summer holiday, so I had to fully maximize my time, what better way to to it than going on an epic 2600km road trip?! 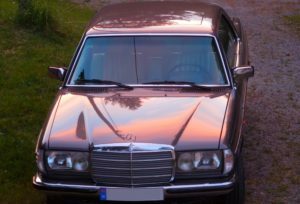 The car of choice was my W123 280CE, not the most economical car ever, but not the thirstiest either! I recently changed all the injectors and the fuel economy isn’t really that bad, around 0.9L/10km. The car held up good and did’t have any problems during the entire trip. Needed to fill a little engine oil after the trip, but it was expected after driving in mountainous areas. For 3 people the car was more than big enough for everyone and luggage unless you are very long, you can easily fit 4 people if you though bring a little less luggage each. The boot is large and can fit big suit cases.. 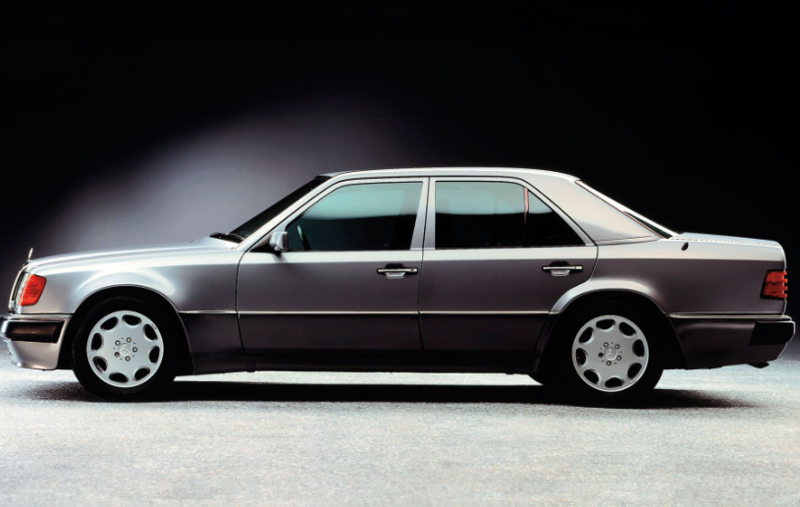 I wouldn’t recommend the mid back seat for long drives and I think Mercedes realized this and removed it all together in the W124 Coupé. The grand tour can be seen in the map above, it’s quite crisscrossing, but for a good reason. 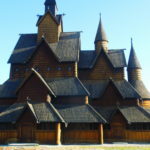 Started out in Oslo, went to a cabin to see my family in Trysil, road trip not yet quite started. 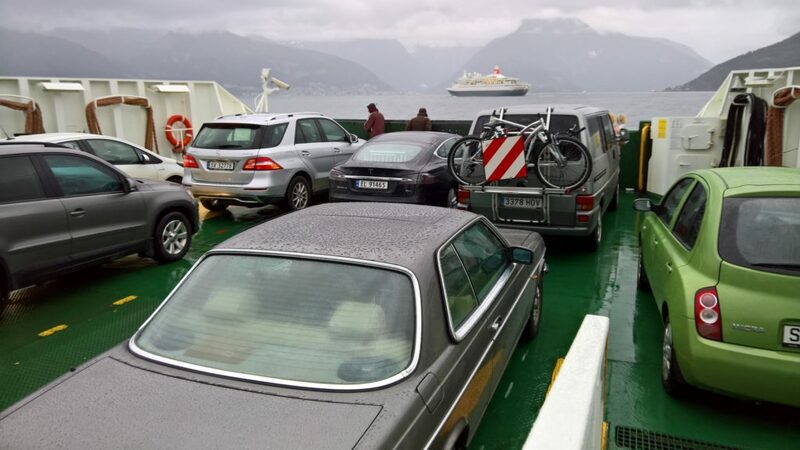 Then to Kongsvinger to pick up a friend, then to Oslo to pick up another friend, then the “first” real tour of the week could start. 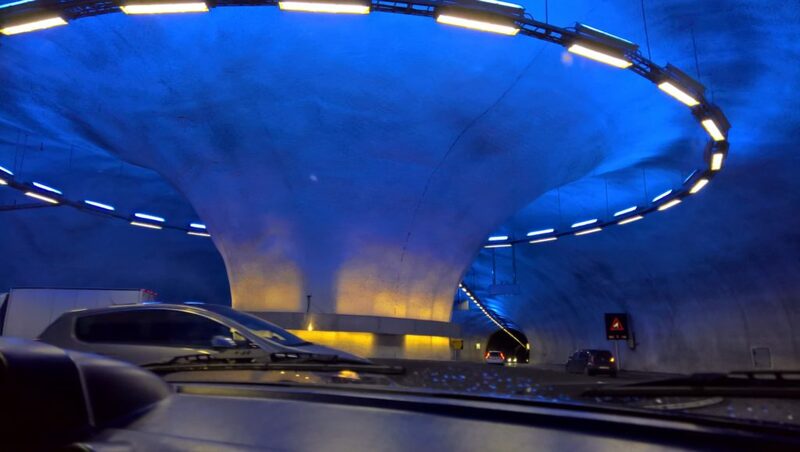 They know how to make scenic tunnels! 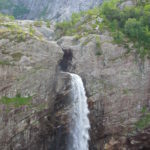 The tour went to Odda over the mountain pass of Hardangervidda, with scenery along the road such as; a meteorite crater, waterfalls, tunnels that twists like a corkscrew down into the mountain and mighty fjords. 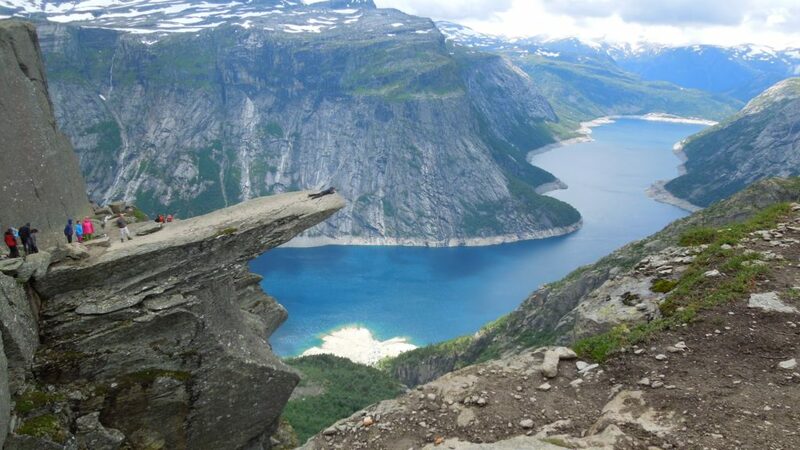 Odda is the place where you can visit the spectacular Trolltunga, a piece of rock sticking out from the mountain wall 700m above a lake, although the the site requires 10-12 hours of quite hard hiking to get there. 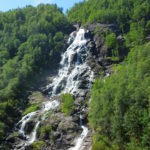 Also there are lots of scenery and waterfalls in the area. 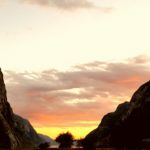 From Odda the the plan was initially to drive to Flåm, but the same day the road got taken out by a rock slide and the road was closed. Due to the Norwegian topography, this is the only road there and a huge detour had to be made across the other side of the mountain, which basically took the whole day, then we ended up in another place instead. The Hardanger suspension bridge. The toll was 150kr, so we only went over it once.. 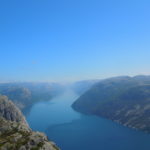 The alternatice route required two ferry crossings over Sognefjorden, which is the world’s longest fjord and the deepest, with depths down to 1.3km. Although there are many long tunnels here, the longest one of 25km called Lærdalstunnelen, was missed due to the rock slide. 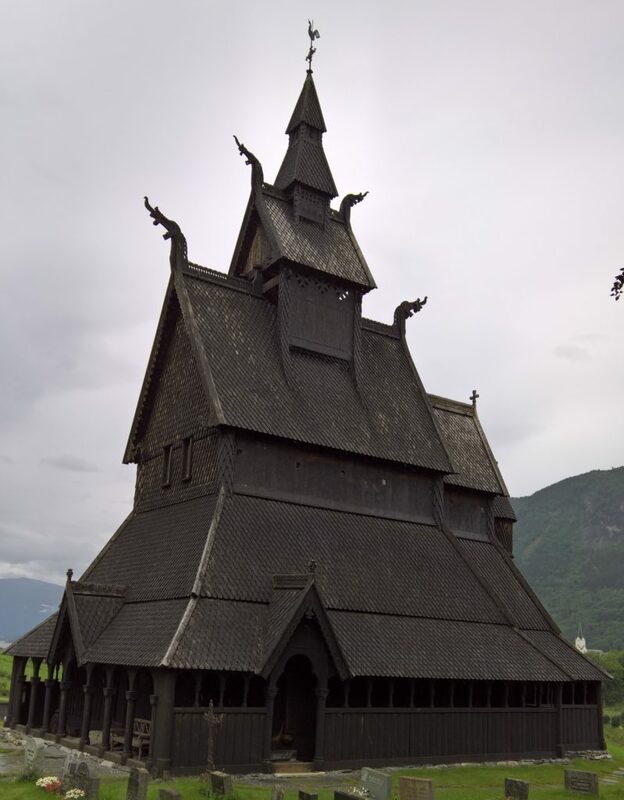 Western Norway is famous for having some really old wooden churches called Stave churches, these are from 12-13th century and looks like a crossing between viking architecture and Christian churches. After a night in Lærdal, the tour went back to Kongsvinger with a stop for BBQ in the quite unknown town of Dokka. Here you can find 4000 year old stone carvings of big game like moose at the river bank. Roadtrip 1 came to an end. My two friends had to leave their separate ways, but the same day six other friends came to join the second road trip in one week! Two of them I put in the vintage car while the others were driving a dull Audi A3. I picked them up in Oslo again, and now the tour went north instead of west. 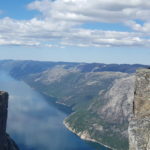 The road was going to Jotunheimen, the home of the ice giants, on a quest to climb Norway’s tallest mountain Galdhøpiggen, actually Northern Europe’s tallest mountain. Don’t be fooled by the height of only 2469m, up north like this it is permanent cold and often treacherous weather even in July! 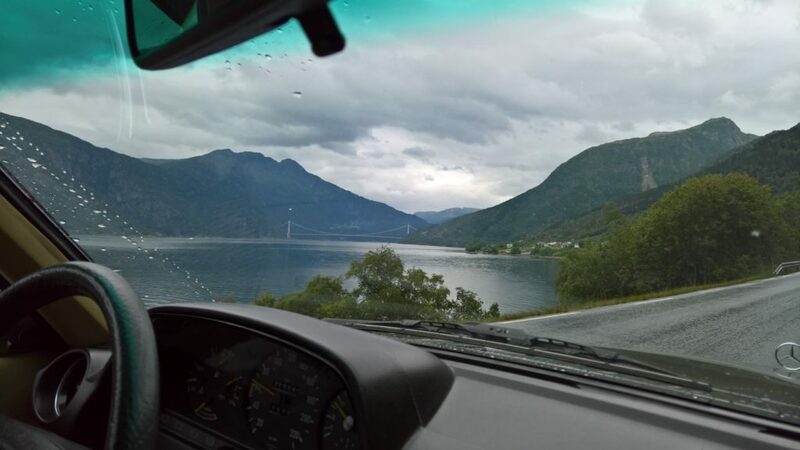 The road went up towards Gudbrandsdalen passing by Norway’s largest lake, Mjøsa, which has an unofficial depth of 600m. 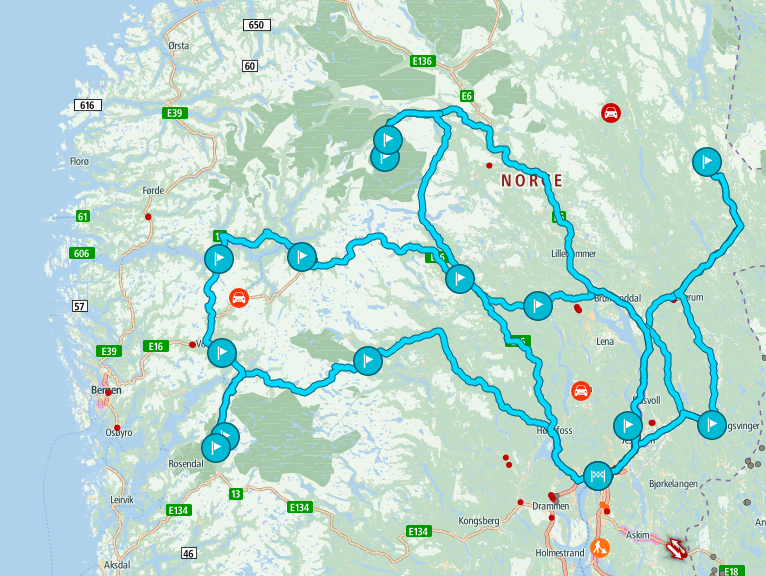 This is the quickest road to Jotunheimen from Oslo, but with the most tolls (which are expensive) and the most traffic. 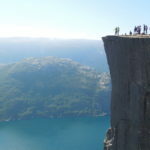 There are two routes to climb Galdhøpiggen, one is from the east side and the other from the north side. 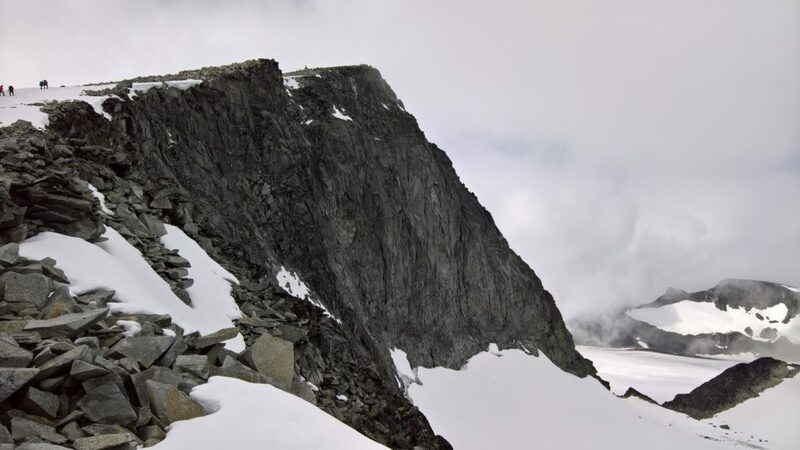 The northern route requires passage of a glacier which can be dangerous and requires safety harness and ropes preferably going with a guide. The mountain was climbed and while everyone suffered a bit from fatigue, the mood was great. It was even a small hut made on the top. This hut was the fourth iteration since the last three had blown down due to hurricane force winds. 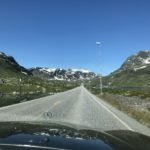 On the road back to Oslo the tour went over Valdresflya another mountain pass which has some of the most spectacular views of the mountains in Jotunheimen, a much cooler road by my opinion than the other one, except the last part before Oslo is a bit desolated. 2600km driven in one week and no issues at all with the car! 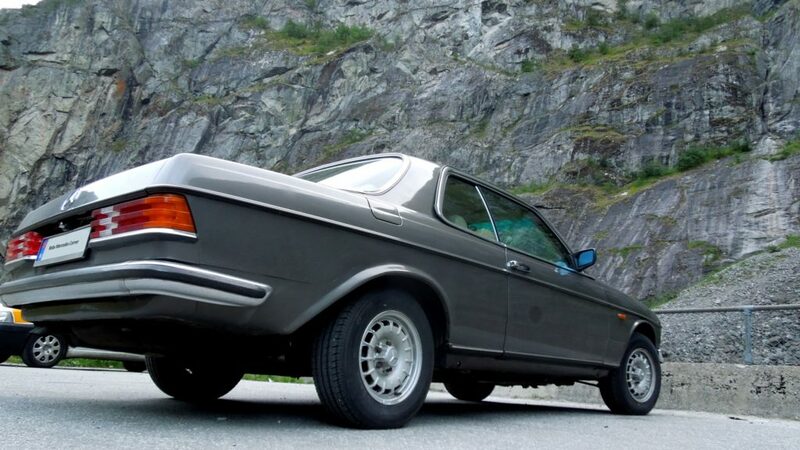 It just shows how reliable a 32 year old car can be if you keep it well maintained! No need to invest in completely new cars and throw away your money. What can be cooler than having a road trip in a vintage car? You’re going to be surprised how many nice comments people give you about the car. So go driving out there with your vintage cars, use them and maintain them as long as possible!